Makers Artists United calendar cover by Elisa Yon. 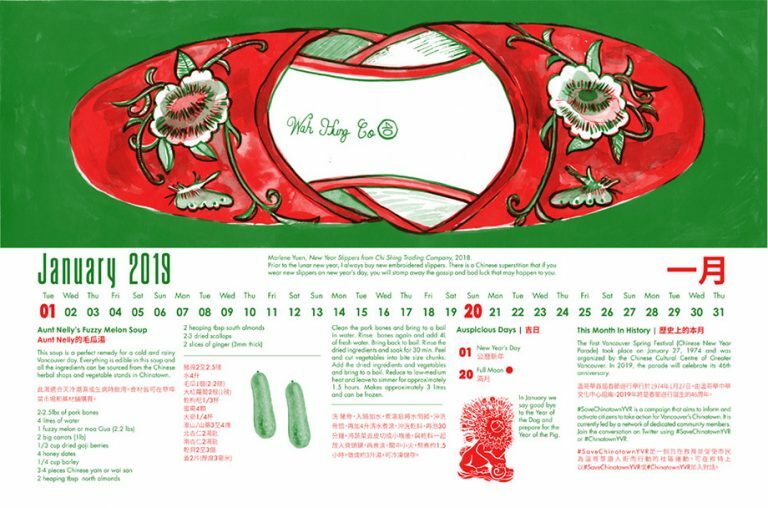 With the twelve months of the year covered, Yon took on the front cover design herself and planned the limited edition of 200 calendars with Erica Wilk of Moniker Press, a local publishing studio specializing in Risograph printing. 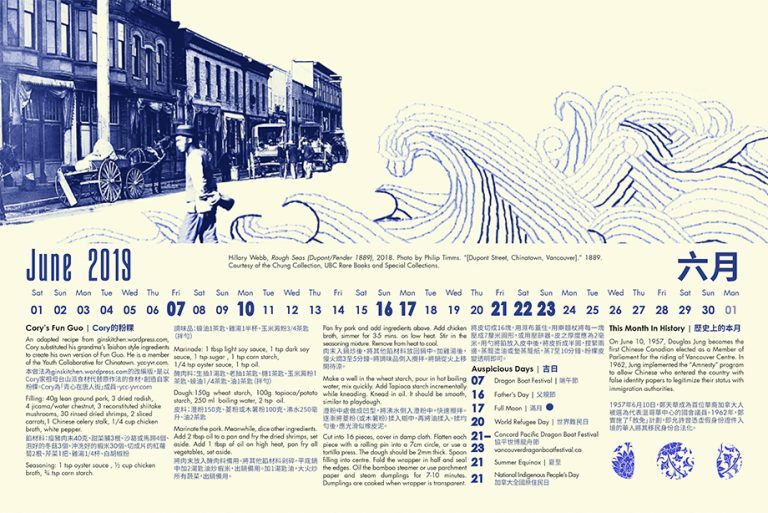 In addition to bringing artists and makers together, the calendar has truly been a collaborative community effort. Yon brought on members of the Chinatown community to consult on content and contribute food recipes, major neighborhood event listings and highlights of local histories and individuals whose contributions have shaped the neighbourhood. 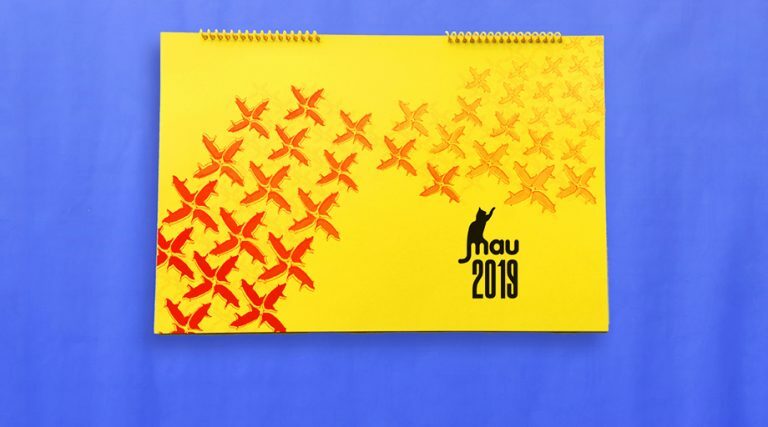 The 2019 MAU Calendar will be launched at this year’s Eastside Cultural Crawl. Explore more than 210,000 digital objects in UBC’s Open Collections. Are you using materials from our Open Collections in your work, research or art? Let us know! Get in touch at library.communications@ubc.ca.